In this fact sheet, students will learn about Shakespeare and his contemporary writers and what they wrote about in the period. An English traveller of the time wrote, “…there be more Playes in London than in all the partes of the worlde I have seene.” A modern historian estimates that, between about 1560 and 1640, some 3000 new plays were written and performed in London. William Shakespeare has become the most famous playwright of his time. He wrote or co-wrote almost 40 plays. But he was one of many writers producing plays in London at that time. The best known of the others are Christopher Marlowe and Ben Jonson. The grammar schools which boys like Shakespeare attended taught useful skills for playwrights. They memorised the history and myths of Ancient Greece and Rome; they wrote their own stories and recited these to classmates. Many playwrights also went to university. For example, Marlowe went to Cambridge. But some playwrights did not - like Shakespeare and Jonson for example. They probably learned the skills of writing plays whilst working as young actors. What were the plays about? Playwrights at this time were not too bothered about being original. They were content to re-work old stories or even use other people’s plots. Shakespeare’s The Taming of the Shrew was a re-write of an earlier play and The Comedy of Errors was based on a plot from an ancient Roman writer named Plautus. Histories were stories about England’s past. Marlowe wrote Edward II, while Shakespeare wrote plays about King John, Henry IV, Henry V, Henry VI, Richard III, and Henry VIII. His first play about Henry VI was so popular that he wrote a sequel and then a prequel. Tragedies told unhappy tales which often ended in deaths, like Shakespeare’s Romeo and Juliet. John Webster had a big hit with The Duchess of Malfi and Shakespeare is famous for Othello and Hamlet. Like today, playwrights in Shakespeare’s time sometimes used blood and horror to entertain the crowds. In Shakespeare’s Titus Andronicus, two characters, Chiron and Demetrius have their throats cut onstage, are cut up and baked in a meat pie, and then their mother is tricked into eating the pie! Comedies, on the other hand, could be relied upon for happy endings, often weddings. 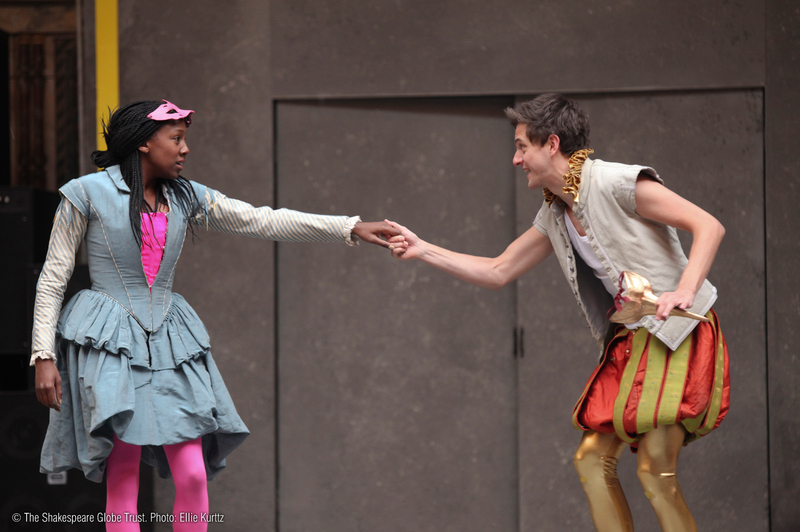 Shakespeare’s Two Gentlemen of Verona is especially happy; it ends with two weddings! Other comedies were more satirical. Ben Jonson wrote The Alchemist to make fun of London society. But playwrights had to be careful of who or what they made fun of. The Master of the Revels was an official of the royal court and it was his job to grant licenses to theatres, theatre companies and plays. He would not license a play (give it permission to be performed) if it had political or religious views he didn’t like. Playwrights could not risk offending him. So they often set their plays in imaginary countries to make sure that nothing in the plot seemed critical of the royal court or the government. What were the playwrights paid? Playwrights were not usually wealthy. They got no royalties or repeat fees if their plays were performed many times. They just got a one-off fee for selling their play to an acting company. Often they had to share the money, because it was common to write as pairs or in groups. For example, Shakespeare co-wrote Henry VI Part 1 with someone else. We don’t know who. Philip Henslowe was a theatre owner who hired four writers called Chettle, Wilson, Dekker and Drayton. He usually paid them in instalments and they were sometimes writing several plays for him at the same time. But the fee for a play was worth having; in the 1590’s it was about £5. This may not sound much today, but it was about a year’s income to an average craftsman or shopkeeper at that time.